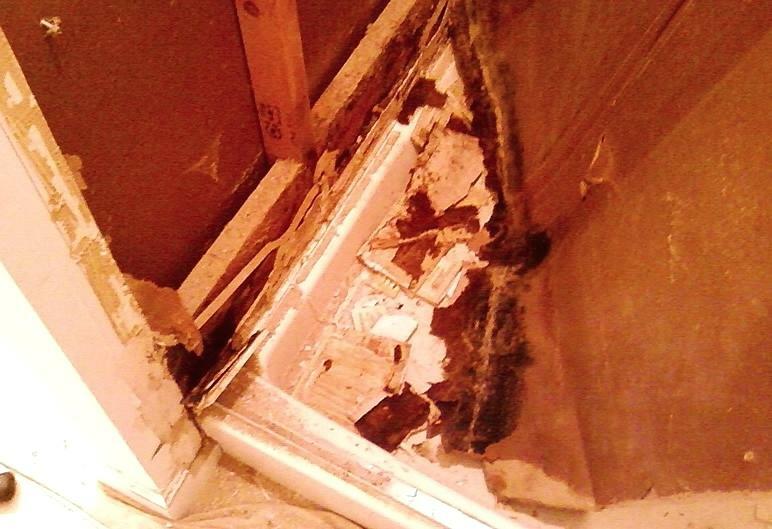 Mold growth is something no one wants to see, especially in their homes and on (most of) their food. There are many different kinds of mold, which have different textures, appearances, and even colors. One of the most common molds people may find in their households is red mold; yet despite it’s common occurrence, red mold is not wildly understood. 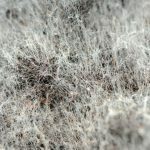 If you suspect you may have red mold in your walls, rooms, or even on your food and clothing, take a look at this essential guide to understand how–and why–red mold grows, whether or not it is dangerous, and what you can do to prevent or remove it. Red mold prevention: how to prevent red mold? 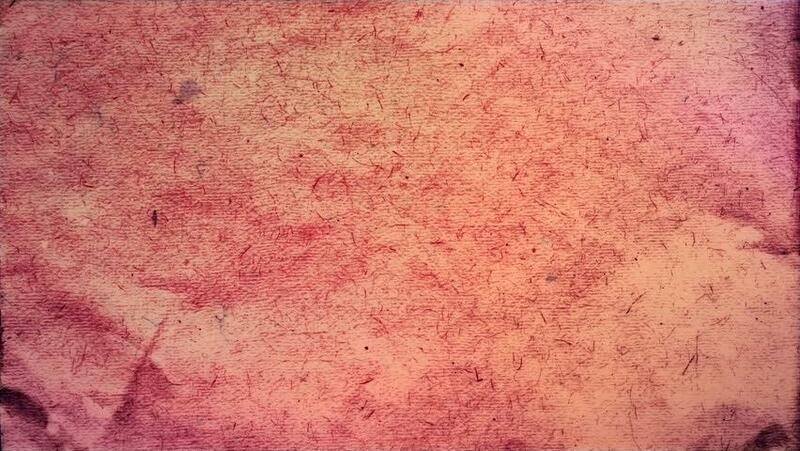 Red mold, like Yellow Mold, Orange Mold, and all molds, is a type of fungus. 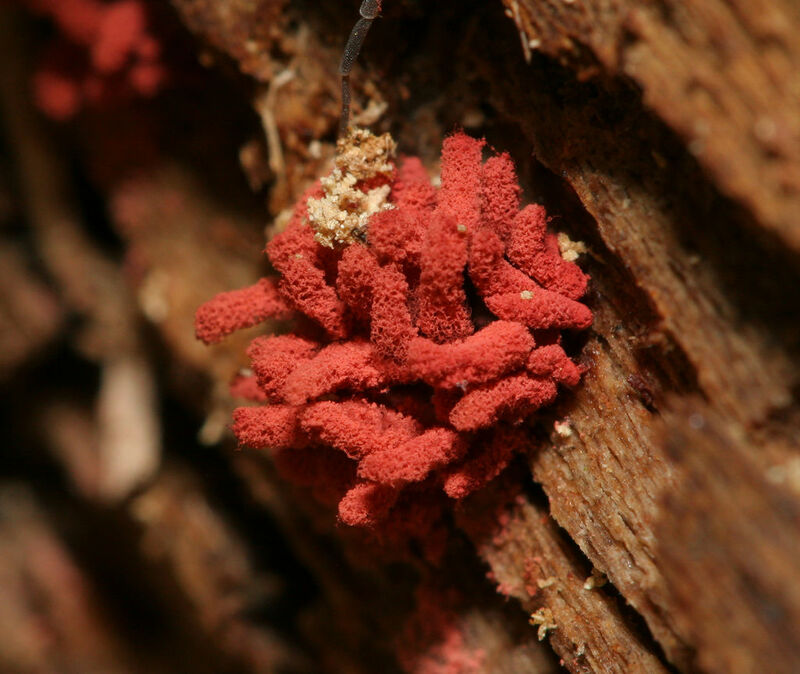 There are multiple species of red mold, as well as certain fungi species that are red in color during certain stages of their growth. 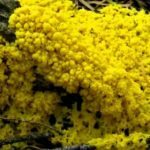 The two most common red molds found in households are Aspergillus, which is most often seen in walls or building materials; and Neurospora, which is most often found on food. If you find red mold in your home–whether it’s inside your walls, on your fruit, or on your clothing–it could be either of these two species or a different mold species altogether. 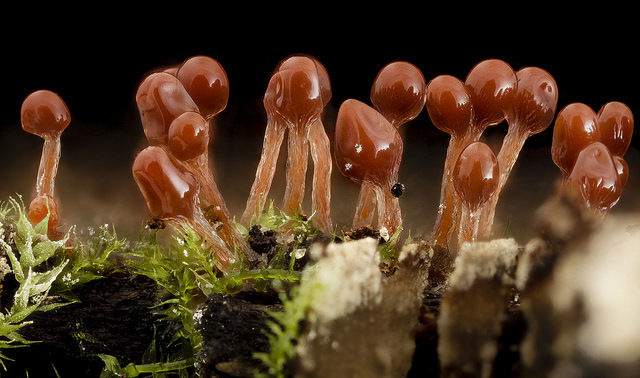 Eastern red mold, or Monascus purpureus, is a species of mold with a distinct red-purple color. Eastern red mold is specifically used to cultivate a special type of rice called red yeast rice, which is created by mixing Monascus purpureus spores with specially treated rice. The rice is allowed to ferment with the Eastern red mold, resulting in cultured red grains of rice that are then sold in various forms throughout the world. Red yeast rice is even used as food coloring, after the dried rice grains are turned into a fine powder. Precautions are used during the cultivation of red yeast rice to ensure that the Eastern red mold is non-toxic, though its consumption should be limited to those without mold allergies. Red mold (and Pink Mold) can also grow on a number of different foods. 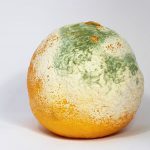 Sometimes the mold is visible on the outside of the food, but it may not be apparent until you cut it open, depending on the particular type of food and the growth pattern of the red mold. Any food that has been compromised with red mold should be tossed away. If you don’t throw out the moldy food fast enough, it will spread to other foods in the area. 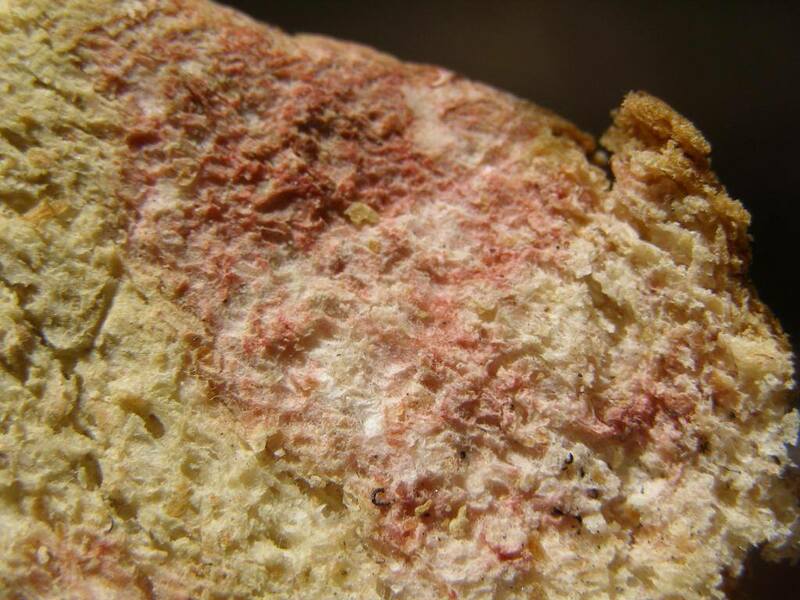 Red mold on bread is one of the most common areas for red mold strains to grow. Mold “loves” bread as a bacterial food source, especially since it is often kept in a warm, moist area, such as a plastic bag or bread box. You may not see red mold on bread until you cut it open, though it sometimes will grow on the outside of the bread. 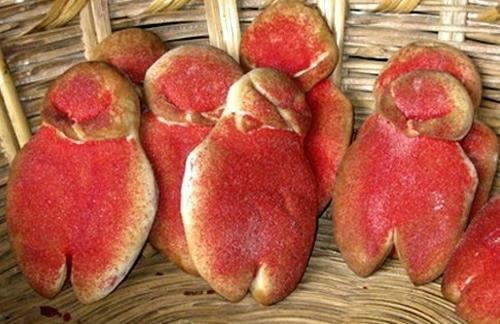 You should not eat bread that has red mold growing on it; instead, it should be thrown away and any bread stored with the moldy bread should be inspected for growth. Red mold may also grow on cheese, especially whole blocks of cheese kept underneath cheese blocks or left uncovered in the fridge. Red mold on cheese should not be eaten, as it is not cultivated for consumption like types of moldy cheeses. If you have multiple blocks or pieces of cheese stored in the same area and you find one is infected with red mold, make sure you check every piece to ensure that it hasn’t already spread. If it has, you will need to throw everything out. 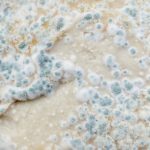 Yogurt is not the place that most people look when they’re checking for mold growth, but red mold can be found on yogurt, especially if it is stored in a fridge with other foods (such as cheese, bread, or fruits) that are already infected with red mold. Yogurt contains plenty of mold “food,” which makes it an ideal target for mold once it’s in the area. It may surprise you, but it’s true: mold can grow on clothing. Mold tends to grow on clothing that is left in damp or moist environment, such as clothing left in plastic bags that unknowingly have moisture inside–typically from clothing that was not completely dry when it was placed in the bag, as well as rain or simply moisture from the air. If you find mold on your clothes, you may be able to save them and avoid having to throw them out. The best way to remove red mold from your clothing is to first wash them on hot water. This will kill the mold and remove allergens and mold spores that are present on your clothes. You should ideally wash your clothing with a clothing-friendly mold killing solution, and then dry them in full sunlight to further ensure the mold is destroyed. Red mold may grow on walls in areas with high levels of moisture in the air, moisture or water damage, as well as any areas that are rich in ‘food’ for various types of molds. You may spot red mold on your wall on its own, with a distinctive red color; or the red mold may be underneath a darker type of mold, such as black or gray mold, which may make it harder to spot. You should follow basic mold removal standards for removing mold from the wall; depending on the strength and volume of the mold, you may want to have the interior wall inspected for growth. How you remove red mold will depend on where the mold has grown and the volume of mold present. To remove red mold from the bathroom, walls, or other areas of the home, you should first wear protective clothing (mask, goggles, and gloves) and then spray down the area with a safe mold killer. Many safe mold killers are made with hydrogen peroxide, vinegar, and baking soda. The mold killing solution should be left on the area for at least 10 minutes, but ideally about an hour to get the best effect; then, scrub the area repeatedly until all the mold is gone. If the red mold is one food, throw the food away. Then inspect all nearby food items to check if they were infected. You can reduce the chances of additional red mold on your food by scrubbing the area with hot water and soap–or with a food-safe mold killing solution. If the red mold is on clothing, follow the instructions laid out in the section of this article dedicated to clothing. You may need to repeat these instructions twice in order to fully remove the mold from your clothing articles. The best way to prevent mold (read also: Brown Mold) is to know why encourages mold to grow and work from there. In the bathroom, mold tends to grow where there is a lot of moisture, such as shower drains, faucets, sink drains, shower tiles, and so on. These areas should be kept as dry as possible at all times, especially if there is a history of red mold in shower or other areas of the bathroom. Ideally you should thoroughly dry your sink, shower, floors, etc, as soon as possible after they become wet. This may take some getting used to, especially if you have never done it before, but the reduction in mold growth is well worth an extra minute or two drying out your bathroom shower. Other areas of the home prone to mold growth include underneath sinks, kitchen pantries, laundry rooms and storage spaces. As with the bathroom, you should take care to ensure these areas are kept as moisture free as possible by checking for leaks, moisture damage, and so on. To prevent red mold growth on food, make sure that you do not keep food that is rotting or beginning to rot; always store your bread and cheese in airtight compartments, and make sure that your yogurt is carefully sealed and never kept too long past is expiration date, as dairy which is left to go sour is more prone to mold growth. To help reduce the chances of mold growth in clothes, make sure your clothing is totally dry before you put it in a closet, drawer, or hang it inside a plastic bag. Red mold is not inherently dangerous on its own–BUT there are two things you need to consider: one, mold can be dangerous to some people, specifically those who have allergies to mold and people with compromised or weaker immune systems; two, red mold sometimes grows alongside other types of mold which may be more dangerous or toxic than the basic species of red mold. So red mold growth may signal the presence of more toxic mold in your home and should be treated–and removed–accordingly. You should not eat food with red mold growing on it. Again, while red mold is not inherently dangerous to eat for everyone, people who are allergic or have weakened immune systems can develop serious and even fatal complications after consuming red mold. You should not take that risk. However, Eastern red rice strains are considered fine for human consumption–think “moldy cheeses” that are popularly consumed by many people–as long as you do not have an allergy to mold. If your clothing has red mold on it, again, take the proper steps for removal before wearing any of the affected clothing items. You do not want to have mold spores constantly close to your skin or within breathing range of your lungs. Red mold comes in various species and may grow in multiple areas throughout your home. It is most commonly found in the bathroom due to the high level of moisture and bacteria in the air, but it can also grow on walls and floors outside the bathroom; red mold may even be found growing on your food, especially bread, cheese, and yogurt. Your clothing may even be prey to red mold, if it has been kept in a moist or damp environment, and should be thoroughly cleaned before it is worn once red mold develops. The best way to remove red mold (also another mold like White Mold, Black Mold, Green Mold) is to prevent it with vigilance over moisture-heavy areas of the home, keeping your food in dry and moisture-free environments, and ensuring that your clothes are fully dry before hanging them in a closet, putting them in a drawer, or putting them in a plastic bag. Red mold, as a whole, is not inherently dangerous–but because it often grows with more toxic molds, and due to the presence of allergies and weakened immune systems in individuals, it should not be allowed to grow uninhibited and should be removed as soon as possible. You can remove red mold with simple mold killing solutions combined with vigorous scrubbing and due diligence.